LARGE ONE BEDROOM WITH DESIGNER REHAB. FEATURES MAPLE CABINETS,GRANITE COUNTERS,STAINLESS STEEL APPLIANCES, PERGO FLOORS. ALL NEW BATH FIXTURES. BLDG FEATURES POOL, SUNDECK,24 HOUR DOORMAN. FANTASTIC LOCATION: WALK TO LAKEFRONT,THEATERS,RESTAURANTS,HEALTH CLUBS,BUS STOP,CTA RED LINE. NO HO-X ON P-TAX. SMALL DOGS OK. Listing Office: Lakefront Realty Group, Inc.
1360 N Sandburg #2810 Chicago, Illinois 60610 is a condo property, which sold for $223,500. 1360 N Sandburg #2810 has 1 bedroom(s) and 1 bath(s). 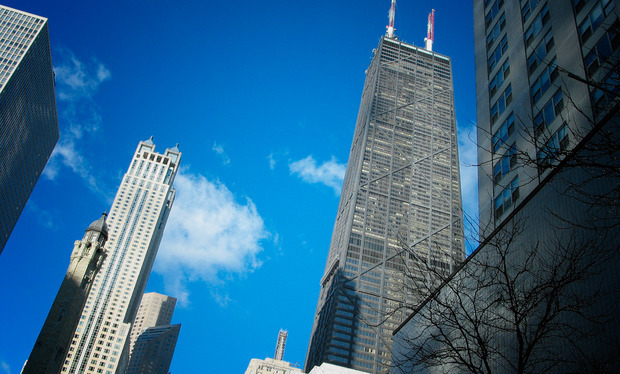 Want to learn more about 1360 N Sandburg #2810 Chicago, Illinois 60610? Contact an @properties agent to request more info.